Amazon is the world’s number 1 online retailer, netting in a staggering $20 billion dollars quarterly, with small business owners contributing to their profits by 40%. One of the attractions is that Amazon makes it very easy for anybody to become a marketer or start a business on their online platform. However, a lot of beginners make the mistake of diving into Amazon sales without fully understanding the processes involved, fees and policies. This move can lead to a huge loss of money. The main aim of this article is to give you the basics you need to know and the factors to consider in ensuring the most successful online business trade. Amazon is, of course, a popular online trading platform. Almost anything you could think of is available for purchase. The less contemplated aspect of the platform is who exactly puts up those products for sale and where do they come from. Many simply think that the products are all owned and sold by Amazon. You and I; however, know that this is not true. Certainly, some of the products listed for sale on the site are owned by Amazon and some products are branded under different names but are actually owned by Amazon. Nonetheless, most of the money Amazon realizes comes from intermediary sellers; the guys who buy products and put them up for sale on the site. One of the best things about Amazon is that any legal person (over the age of 18), can become a seller on their platform. It is basically a cycle of money exchange; buyers spend money, Amazon makes money, seller makes money too. These third-party sellers could be anyone, from an established, well-known brand to a regular Joe like you and I. This is why you need to learn how to start an Amazon business. 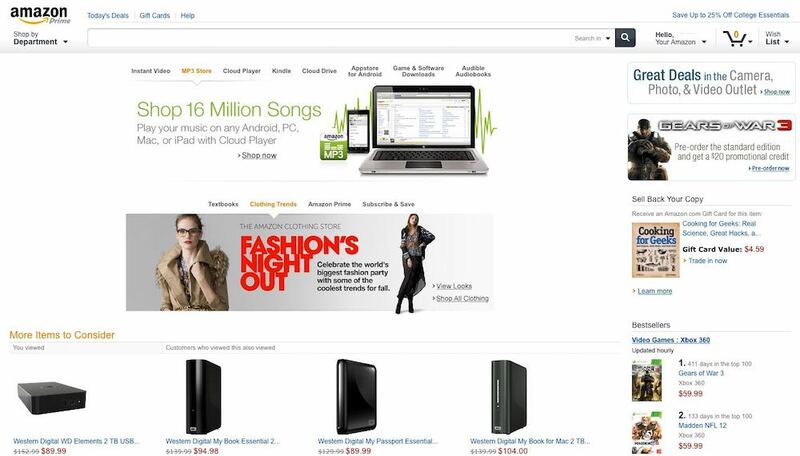 Moreover, Amazon has made it easy for beginners to start earning online using the platform. 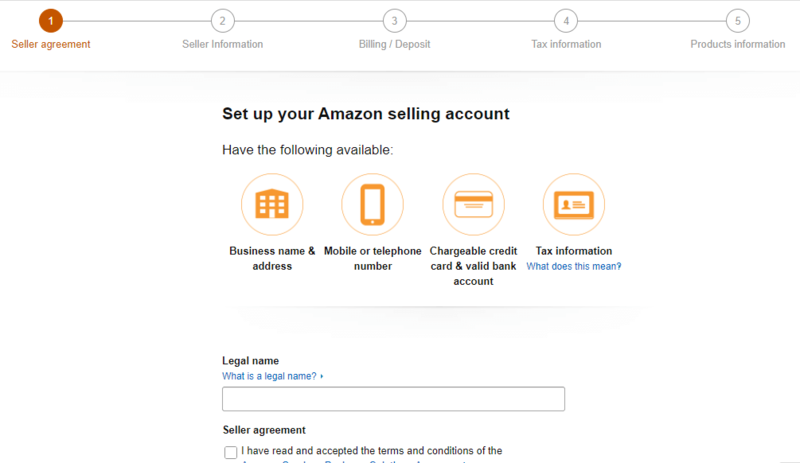 Set up an Amazon account to begin selling your product. Research on the best possible bargains you can get. Of course, before stepping into any new venture, one must fully understand how it works. Same goes with selling on Amazon. What product can you sell on Amazon? What product is the most popular among customers? Setting up the actual Amazon account involves some meaningful decision making. First, you will have to decide the type of account that best suits your proposed business. Amazon will give you the option of choosing between a professional and individual seller account. Whichever works best for your business is the one you ought to select. ⇒ If you are starting a larger scale business, opt for the professional seller account. The features of the professional account include an unlimited quantity of items you can sell, referral fess variable closing fees and an advertising platform. You pay a monthly fee of $40 dollars and get an unlimited number of sales you can make, and create your own listings. The price for all these benefits doesn’t seem too bad, does it? Sellers with this account can also register for the FBA (fulfillment by Amazon) program and have access to Amazon’s advertisement platform. ⇒ The individual seller account is more straightforward and offers basic features. Registration is free and there are no monthly payments but, every sale made comes with a fee. This is more suitable for smaller business owners. Of course, the availability of this seller account comes with limitations. A seller is only permitted to make 40 sales each month with this account. Also, new products cannot be listed; you will have to sell under already existing product listings. There are also other limitations like no access to Amazon’s advertisement platform. Not the best for a large-scale business, right? Make an in-depth research on rival products and the possible profit you can net from the product you mean to sell. You can cross-reference these prices on other online store platforms like Alibaba. This way, you can get an estimate of the potential selling price for your product, the customer demand available and the profit margins available to you. Buying goods at a discount and then selling them on Amazon is the easiest way to make a huge profit. You will need to research on the best discount offers at available retail stores, purchase them at a great discount and then sell them at a higher price on Amazon. For a beginner, begin with a trial sales to minimize monthly fees on the platform and put up a few of the products for sale, see how it goes, compare to the rival products and see how yours is doing. It is important to know that there are risks involved in buying and selling retail products that you will have to consider. All in all, stay away from selling and buying practices that could get your account suspended, or lead to a business loss. Another option to explore is buying items from other online stores. You can buy the discounted products made available on these platforms and then sell them at a higher price. This does not normally net the biggest profit because customers could just buy the products offered at a discount price from the online platforms. Buying retail best works if you are testing the waters or, have a small budget to invest in the business. Wholesale businesses are maybe the most profitable. You buy directly from the manufacturers in a large quantity and at a great discount. This eliminates all third-parties involved which could slash your profits. You act as the middleman in this business. You do not have a brand; you re-sell these products without changing them, under the producer’s brand name. This business is pretty straightforward and usually involves minimum effort and risk and maximum profit. You will first need to find a manufacturer, buy their bulk products, sell them on Amazon and then collect your profits. Easy as that. Before you can begin as a wholesale seller, you will need to acquire a wholesale license. The requirements for acquiring this vary with each country. The most important step is involving yourself with a wholesale business that generates a lot of sales. Buying and selling products under your own brand name on Amazon is one of the most popular business endeavors today. When done correctly, it generates high earnings. You will have to pursue a product that is profitable in the market, find a manufacturer and then sell the purchased products under your own brand name. Developing a brand can prove to be a very wise and profitable venture. Also, you are in charge of the quality and price of your products, increasing the quality of the products you have to offer will distinguish your product from rival products. The FBA program allows professional sellers to register with Amazon to allow the platform to fulfill the seller’s orders. Basically, Amazon will be in charge of picking up items, packaging, shipping, and other sales related proceeds, for a fee. Choosing this method reduces the stress on the sellers. An FBA seller simply has to ship their items to one of Amazon’s warehouses and leave all the other details for them to handle. Each sale that is made will be handled by the platform, with them shipping the items to the customers on every purchase. The payments for using this service are meager compared to the benefits. Shipping costs and time are lower for international deliveries. The FBA logo creates trust in the customers. Some of the fees you will pay for the FBA services include monthly storage fees, fulfillment fees, long-term storage fees, labeling fees, and returns processing fees. Finally, it is vital to familiarize yourself with the marketing techniques involved with selling on Amazon. According to PrimeSeller, creating an Amazon account and putting up products will not cause sales to happen. You will need to have maximum exposure, allowing potential customers to find your product. Knowing how to place your product high on the search ranking is very important. SEO, PAID MARKETING and ORGANIC MARKETING are the features of good marketing. ⇒ Organic Marketing uses positive reviews and ratings, competitive prices and promotions/discounts. ⇒ Paid Marketing is a method that works just like its name. Advertisements and integrating Pay Per Click campaigns will boost your ranking. Starting an Amazon business may seem to require more money and steps than you previously imagined but, remember that hardly anything comes well without some investments first. These tips are just pointers you will need to take the first steps into your Amazon business. With them, you will be set to start an Amazon business that fetches you a healthy profit.